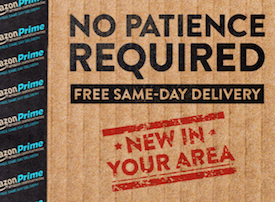 Amazon (and others) have profoundly raised customer expectations for frictionless commerce, fast-free delivery, and nearly infinite selection. This impacts not just retailers, but manufacturers and distributors as well. Here we explore three examples of companies thriving in this competitive environment by differentiating with unique services and experiences. These expectations reach beyond the retail industry. In fact, the boundaries between retailers, manufacturers, and wholesale distributors have become ever more blurred. Increasingly, manufacturers and distributors are selling directly to the end customer. For manufacturers and distributors who are not selling to the end customer, their existing customers’ expectations have also changed. Customers, whether consumers or businesses, expect to be able to view in-depth product information, configure, order, check status, and potentially request returns or report issues online 24/7—that is in addition to the traditional channels of interaction. Furthermore, many retailers are demanding that their suppliers hold inventory and drop ship to the retailer’s customers. This forces those manufacturers to become proficient at fulfilling a large number of smaller orders consisting of just one or a few items, in addition to continuing to fulfill a small number of large bulk orders as they have traditionally done. Those two different types of order flows require completely different paradigms for order management, warehouse management, inventory management, material handling, pick, pack, ship, and logistic/transportation management. In short, running a business the ‘old fashioned way,’ is becoming increasingly untenable. To adjust to these changing expectations, a two-pronged strategy is required: 1) differentiate and 2) optimize. 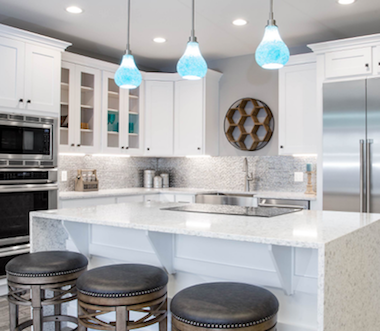 InteriorWorx is a manufacturer and wholesale dis­tributor of interior finish options such as appli­ances, cabinets, flooring, lighting, doors and trim, etc. One of their key differentiations is the special­iz­ed services they provide They work directly with residential and commercial builders to provide com­­plete interior finish packages that include de­sign and expertly guided selection of various finish options, installation, and a dedicated warran­ty de­part­ment providing post-installation service. Try doing that, Amazon! Even though they are a rela­tive­ly small business, InteriorWorx handles the com­plexities of managing over 100,000 SKUs and product variants, and sourcing from and managing international materials suppliers in China and elsewhere. Hincapie was founded by professional cyclists to design, manufacture, and sell premium cycling apparel and gear. The customer experience and relationshipare critical for their business. 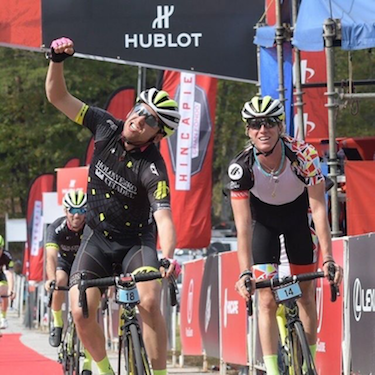 With total passion for the sport, they host and operate the Gran Fondo Hincapie, a series of cycling events that allow professional cyclists,top amateurs, and beginners to intermingle and ride. These are festival-like, family-friendly events, with places for the kids to play, and real-time tracking of the cyclists so family members can follow them throughout the race. They also operate the Hotel Domestique,1 a cycling and outdoor-themed hotel and restaurant in the Blue Ridge mountains. Hincapie has built up and continues to grow an enthusiastic community of cyclists, thereby fostering a deep and enduring relationship with their customers. Their website allows shoppers to order custom cycling apparel, guiding the customer through the process and, as needed, bringing a customer representative into the workflow. Taken altogether—the premium custom products, knowledgeable passionate customer representatives, festive events, a like-minded community, and the overall experience—these provide differentiation that is virtually impossible for Amazon or other online-only sellers to match. 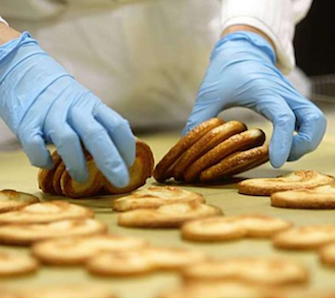 A third example is Sugar Bowl Bakery, a manufact­ur­er of baked goods with two manufacturing plants in the San Francisco Bay area. Sugar Bowl Bakery (SBB) sells to many retail chains nationwide includ­ing Costco, Albertson’s/Safeway, Walmart, Kroger and others. One way SBB has differentiated itself is by making healthier options that still taste good, such as their newly launched whole-grain Breakfast Bites, sweetened with dried fruits in the Blueberry Lemon and Cranberry Orange Breakfast Bites. They appeal to health-conscious shoppers and are ahead of trends; they were one of the first to have trans-fat free products, and its bakeries are certified or­gan­ic, gluten-free, and non-GMO. They are constant­ly working on efficiencies to keep costs competitive. All three of these businesses are small to mid-sized companies with limited IT staff and budget, yet all three have been able to leverage technology to support their differentiation and compete with larger firms. Small and mid-sized companies require technology solutions that are not just easy to implement, but that have broad functional footprints (such as built-in ecommerce, warehouse management, unified billing, and more), as well as the ability to easily do incremental customizations that are guaranteed to work across platform upgrades. An integrated platform reduces time and effort spent building and maintaining integrations between multiple best-of-breed systems. All three chose NetSuite ERP as their platform in part because of its broad functional footprint of integrated capabilities, ecosystem of deeply integrated partner solutions, customizability, and rapid implementation. As outlined in Agile ERP, the ability to rapidly implement a core solution, and then build on that foundation over time, allows companies to quickly gain value and momentum. InteriorWorx implemented NetSuite to manage the complexity of its international supplier relationships and logistics, as well as its 100K SKUs and variants. They are also implementing NetSuite’s WMS (warehouse management system) functionality, to automate fulfillment workflows and get rid of manual processes. For Hincapie, NetSuite’s integrated, full-featured ecommerce system was important. It enabled them to implement complicated online workflows, such as ordering custom cycling apparel online, that may require participation of customer representatives, and make those simple for the customer. Those capabilities have helped them increase average transaction sizes. The platform provides their marketing team with visibility into buying patterns to create more relevant and targeted social media and email campaigns. They plan to integrate their cycling event system into NetSuite as well. This kind of integrated platform helps Hincapie create the differentiated experience and a deeper, long-lasting connection with their customer base. Sugar Bowl Bakery has a complex supply chain and sourcing needs as well, with traceability and quality requirements mandated by regulations. They are using NetSuite’s Advanced Manufacturing module and Quality Management System (QMS) to get one-up, one-back traceability, rapid recall capabilities, as well as support their SQF level-3 safety and quality certification (the highest level available from SQF). In addition, SBB uses NetSuite’s modules for inventory status (integrated into their WMS), forecasting, and advanced procurement. In Part Two of this series, we look at the importance of optimizing operations to compete in the age of Amazon, with specifics on how to achieve rapid, profitable fulfillment and highly integrated channels.